If you're on disability and in need of some supplementary income, you should feel at ease knowing that there are plenty of work-from-home jobs for the disabled available. Each of the jobs listed in this article can supply you with the side income you're looking for. Now, before diving into the jobs themselves, let's take a moment to look at a few skills you'll need to succeed as a home-based worker. So long as you have basic computer skills like emailing, surfing the internet, and writing a document, you should be fine. It's perfectly okay if English isn't your native tongue but you should be able to understand, speak, and write English with ease. Working for yourself means not having a boss to look over your shoulder which means it's up to YOU to keep regular working hours and stay motivated! If you enjoy writing, you might try your hand at freelancing with companies like Upwork and Freelancer. First, you'll need a portfolio to catch the eye of prospective clients. If you don't have one already, offer to write a few articles for free until you do. Your portfolio should also cover a variety of subjects to show you're versatile. Second, make sure to personalize each application letter just like you would with a resume. Cookie-cutter, cut/paste applications won't get noticed. Fourth, apply to recently posted jobs before others do! For more information about becoming a freelance writer, check out this post. Hubpages and eHow are websites made up of user-generated content wherein you get paid by the number of views your article gets. As you might suspect, you need a LOT of traffic to get a nice payout! You can also write for content writing services like Textbroker, iWriter, and HireWriters. While pay rates aren't great, you'll probably have an easier time making consistent money than freelancing on Upwork (at least initially). Are you outgoing and energetic? Are you a good listener and problem-solver? Can you multi-task and think on your feet? If you exhibit these qualities, customer service may be right for you. As a customer service representative, you'll help answer customers' products and billing-related questions, take reservations, supply technical support and other services over the phone or via internet chat. And if you're bilingual, even more opportunities will be available to you. For a detailed breakdown of the job, click here. There are several companies that offer customer service jobs for people with disabilities including Convergys, Arise Virtual Solutions, LiveOps, and government-sponsored MyEmploymentOptions, and NTI (National Telecommuting Institute — check out my review HERE). Medical transcription is a popular home-based job that involves converting doctor's voice recordings into text format. But unlike other jobs mentioned in this article, medical transcription requires extensive training, sometimes up to two years depending on the country. 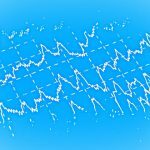 But at this point, it's debatable whether it's worth your time and money as the profession is slowly being phased out as more doctors now use voice recognition software instead (think something like Apple Siri). Still, there are plenty of non-medical transcription jobs available which you could pursue (without needing much training) such as becoming a law transcriber for an online service like SpeakWrite. Can you speak AND write fluently in at least one other language besides English? If so, you might try your hand at translation. And if you have expertise in a field like law, you'll likely find even more jobs. The more specialized the subject matter, the more work opportunities. Check out Proz and Translators Cafe to get started. If you have at least a bachelor's degree and good communication skills, online tutoring may be a good fit for you. Depending on the company, you'll probably be asked to take a screening exam to test your writing ability and knowledge of the subject you'd like to teach. Keep in mind, some subjects are in more demand than others, especially math, finance and science-related ones. Here are few companies to look into: Tutor, e-Tutor, and eduboar﻿d. Do you like making crafts with your hands? Things like jewelry, pottery, or teddy bears? Why not try selling your work online through platforms like Ets﻿﻿y or eBay? Once you buy supplies and create your products, you can make them available for sale online! But be forewarned as it can take a fair amount of work to built up residual income from your efforts. Check out this post ﻿﻿﻿for details. Whatever you do, don't get involved with work-from-home craft "assembly" jobs, where companies require you to buy materials through them to assemble and send back in exchange for payment. Oftentimes these companies reject the work you submit. Why? Because they place unrealistic quotas and deadlines which no one could possibly meet and you'll likely wait forever for a check that won't ever arrive. If you still want to make money assembling items, stick with a reputable company like TaskRabbit instead. Every year, billions of dollars are spent on market research to understand consumers in every area of life from food and travel to cars and gadgets. One way these companies gather data is by conducting surveys and that's where you come in… You get paid simply by completing surveys online! But here's the truth...while it may be fun in the beginning, the monotony of survey-taking may test your patience after a while. And you'll need to complete a TON to make anything more than pocket change. Still, it's a viable option, just make sure not to fall for the dozens of survey scams out there. A few trustworthy ones worth checking out include: Cash Crate, Global Test Market, Panda Research, and Toluna. For more details, read this post. This is my personal favorite work-from-home job for the disabled and it's what I currently do. As an affiliate marketer, you get paid commission for selling a company's product through a website. In time and with enough effort, you can build a business that even pays you while you're sleeping! You won't have the stress of dealing with unfriendly customers like you might in a customer service job. You won't have to look for the next gig as soon as one's ended like you would as a freelance writer, transcriber or translator. You won't have to contend with inventory, packaging, and customer returns like you would as an Etsy/eBay seller. You won't have to suffer from boredom after completing the umpteenth survey as a professional survey taker. Instead, you can build a side business around something you actually enjoy. There's only one place I recommend to learn affiliate marketing and you can read all about it in my ﻿extensive ﻿review﻿ he﻿re. 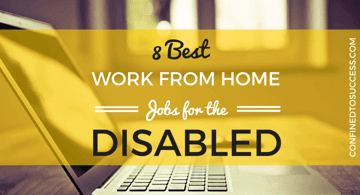 Of course, there are other work-from-home jobs for the disabled but the ones listed in this article provide more opportunities than most for homebound individuals. So why not give one or more of these jobs a try! Have you ever held a work-from-home job in the past? How did it go? Leave your comments below! Industry. But, I Am, Very, Creative, in this: Type of, Work. Work, or: at Least: Won’t Be So, Hard: on, a Disabled Person’s: Hard Work. Glad you found it helpful Deborah! I am someone on mental disability and I was wondering if I could sell character creations–“adoptables”–while on disability. I know they’re super hard to sell but I was told by my parents that I wouldn’t be able to do that without losing disability; I know the price range for each artist can vary however I have never seen one sell for more than $20. If that is something I could do what website could I use to sell them? 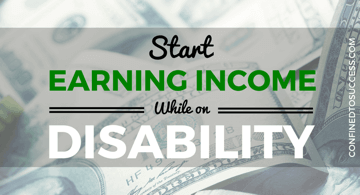 You shouldn’t have a problem making extra money while on disability, so long as it doesn’t exceed $810 per month﻿. Please see here for a more thorough explanation. As far as where to sell your creations, check out Etsy or perhaps this site. Hope that helps! On the topic of paid surveys, I want to add that BY FAR the best and least sketchy of all the services that I’ve tried is Amazon Mechanical Turk. In fact, all of the others have been downright unusable in comparison. MTurk never sends spam email, never sells your info to third parties, never makes you jump through hoops in order to get compensation, has an easily navigable system for finding work (which can be improved further by browser addons), and has a safe and reliable payment method through Amazon Pay. Plus, all it takes to apply is having an Amazon account. Of course, it does have some of the same drawbacks that any survey site does, namely the limited pay and tedious work. Furthermore, it seems to be a bit of a gamble whether or not you’ll actually get accepted into the program at any given time. However, it is absolutely worth trying for anyone who is thinking about taking surveys to make some extra cash (reasonably, about $50 a week if you’re casual about it). I can’t say that it’s saved my financial life or anything, but it does buy groceries. Very good to know, thanks Robert! Perm. Physically and mentally disabled, I’m able to walk and can comprehend but slow. Looking into work from home to earn a living which doesn’t require a computer I don’t have one and can’t afford it. Maybe a tester for example. I tried the survey taking and never made more than a few dollars – and the spam I got was so bad I had to shut down that mail box – I would suggest anyone who tries the surveys gets a throw away email. 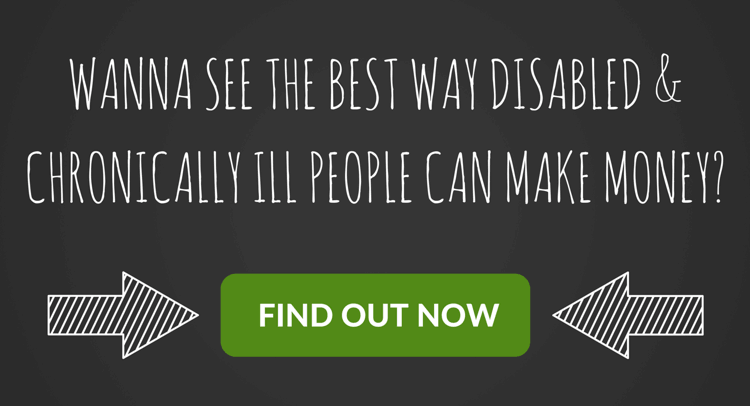 Thanks for putting this info about jobs for the disabled out there – it’s so needed! technical support and telemarketing experience. Hi can you give some feedback with the risk to keeping benefits? I collect disability since age 28 and have been repeatedly asked if I worked at all after about four years. I have opportunities to do online work and it could yield over 800 per month even over 1000. So is that something that goes against me? I’d like to add collecting benefits while living abroad has been a great help. Firstly, the currency is worth more. Secondly, you can have access to public transit more affordable like I do in Greater Toronto Area. Thirdly, when you don’t pay for home repairs, you can save so I’d like others to consider it. Hi there Stephan! 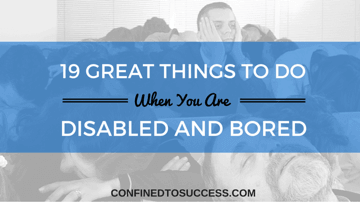 I just finished reading your article on making money from home as a disabled person. You have put together a great list of ideas here for those of us who really want to work from home. I have been working on an affiliate marketing company for the past few years now and I love it. I would highly recommend anyone to give it a try if they enjoy writing lots of content as I do. You make a good point at the beginning of this article stating how self discipline is essential to success. 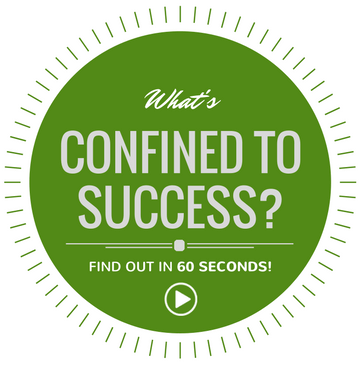 I know from experience how important setting aside time to build your business can be. Thanks for the great rundown on opportunities. Have you gotten work yourself using Upwork? I’ve tried a few things but found it hard to find jobs that actually go forward with the interview process even once you’re selected. I’ve put up some free examples, but it seems to be more of a hustle than it’s worth. Hi George, nope, I’ve never tried my hand at Upwork. What kind of work were you trying to get because some gigs are harder to win than others. If it’s writing, you may want to check out my post here. Really great post that was informative. I think with anything online, anything will take a bit of time to build up and start earning money from. It depends in the end what you would rather be spending your time doing while you are online. I like affiliate marketing because I get to talk about products I am passionate about and you can create a business around your interests. It think that is the most sustainable thing to do in the end anyway. Thanks for commenting Liz! Yes, every online endeavor takes patience and persistence. I’ve ventured a bit into Etsy’s marketplace and although it’s very popular for home-made crafts, it’s very competitive to sell in there. There’s no specific ways to drive traffic to your online store because most of the promotion and advertising are done by Etsy and not the seller themselves. To have better control, you need to be the business owner and actively marketing a site in which affiliate marketing fits the criteria. There isn’t any products to move, you just need create a knowledge base around a niche, recommend a few good products and you are good to go. Wealthy Affiliate University has all the step-by-step on how to do this, so I do recommend that your readers check out their programs. Hi Cathy, thanks for commenting! In regards to Etsy, there are plenty of successful online sellers. One strategy is to set up a blog and place a prominent link/banner to your Etsy page on it. Once you start building traffic, you’ll start getting clicks through to Etsy. But obviously all of that takes time! This is a very comprehensive list of home-based opportunities to earn a supplemental income. I particularly appreciate the links to reputable organizations that potentially provide each opportunity. Many times the generic idea, freelance writing e.g., simply leads to the next question. How do I go about pursuing this? Great job!